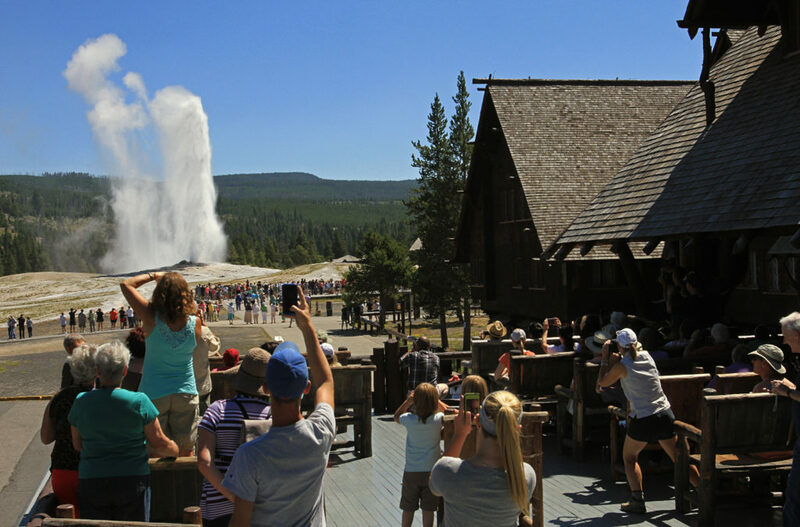 Yellowstone National Park is one of the most fascinating places on planet earth. 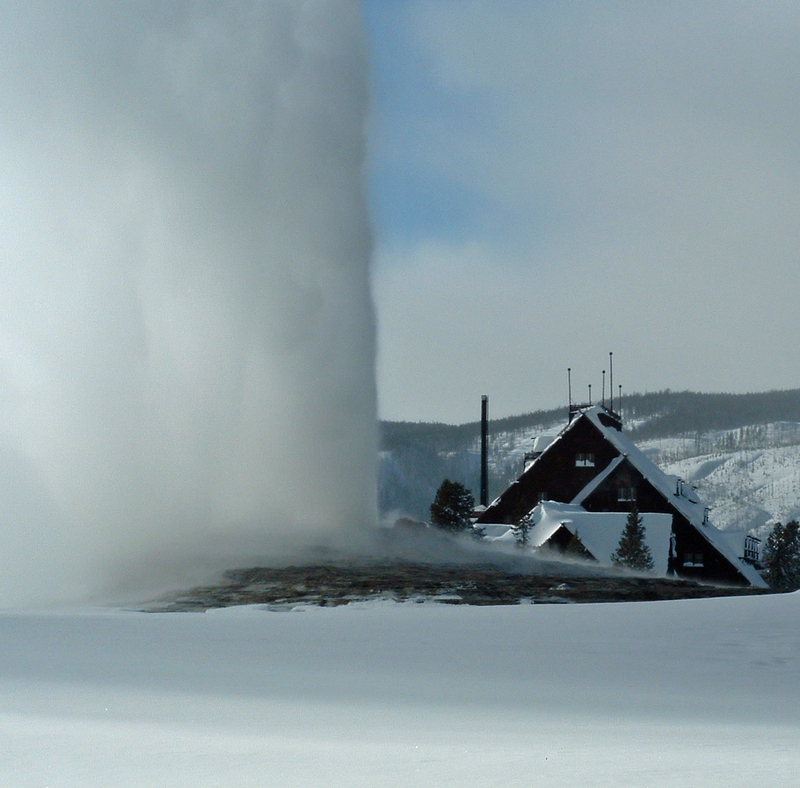 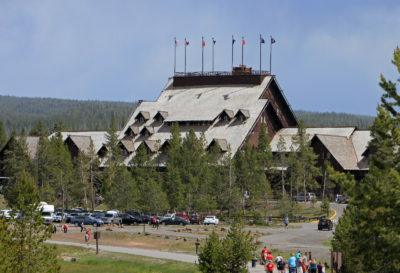 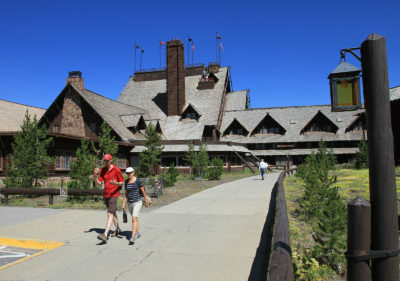 And the Park’s Old Faithful Inn, situated near iconic Old Faithful Geyser, is considered by many to be among the world’s most magnificent lodges. 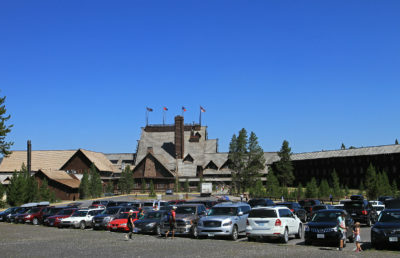 If you are planning a visit to Yellowstone, the Old Faithful Inn is the one must-stay lodge in the Park. Built during the winter of 1903/04, the Robert Reamer-designed building inspires wonder from the outside and awe from the inside. 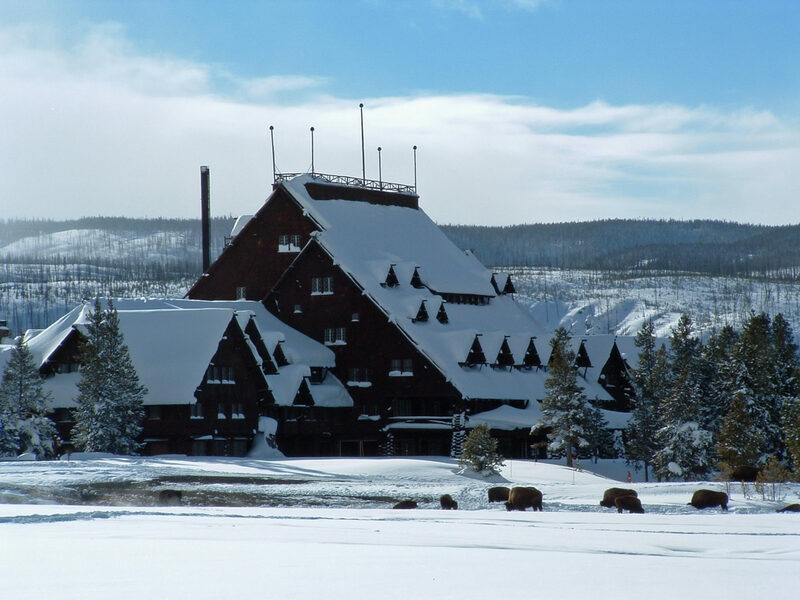 Designed to reflect the surrounding wilderness landscape, the Inn was constructed from nearby lodgepole pines and rhyolite, or volcanic rock. 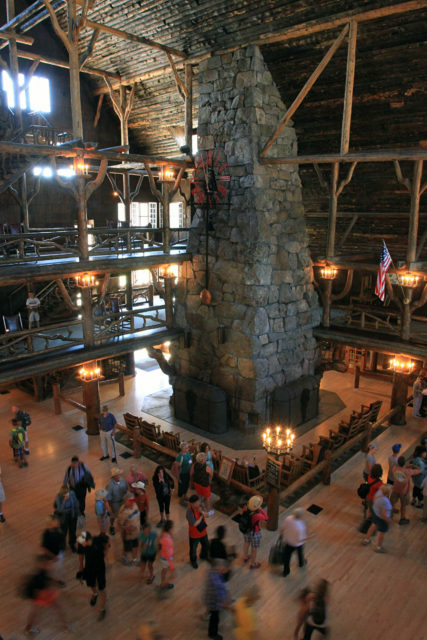 The soaring lounge and massive stone fireplace never fail to amaze first time visitors. 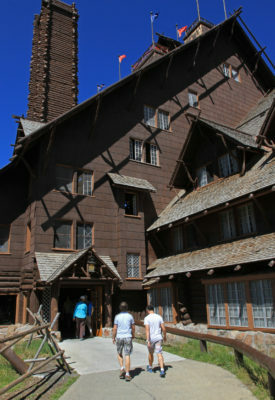 Many visitors return again and again to this unique and captivating lodge. 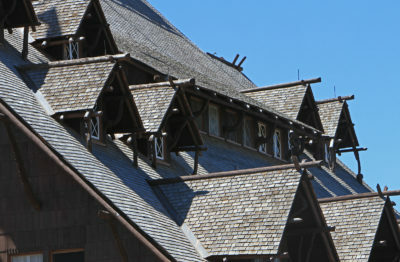 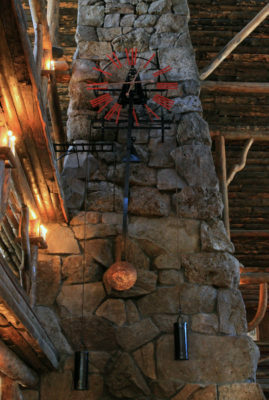 Maintaining the forest lodge theme, east and west wings were added to the Inn in the decades following its opening. 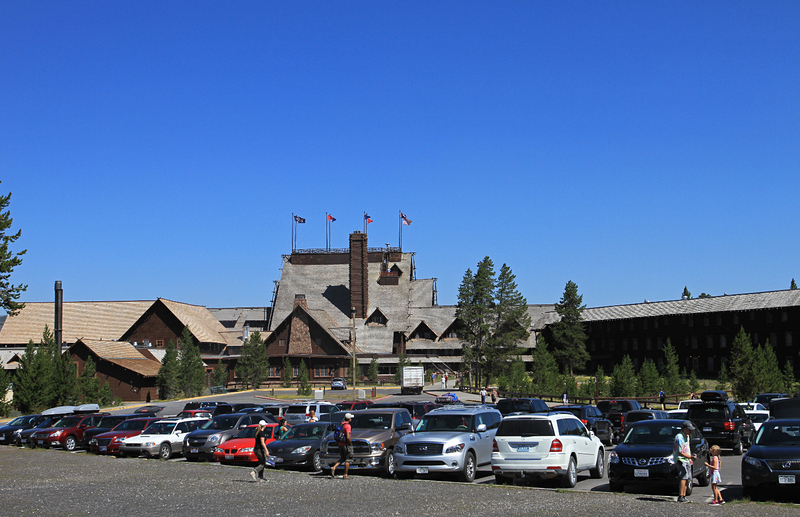 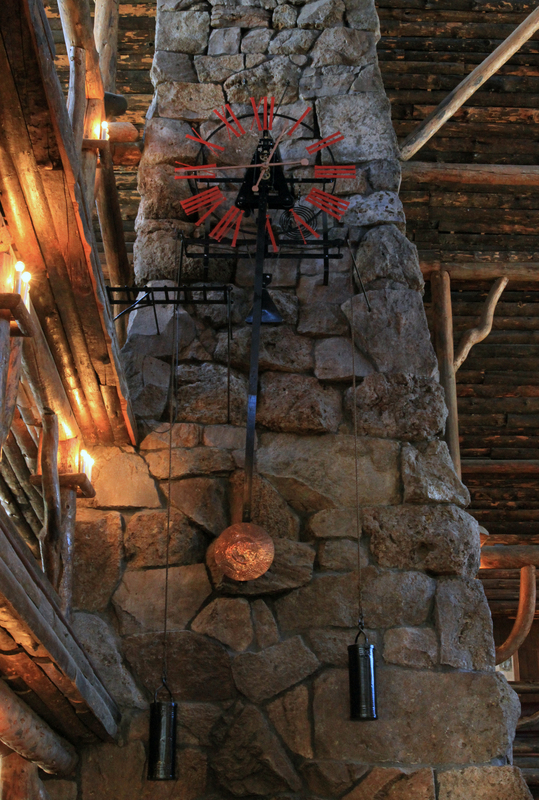 Today, the Old Faithful Inn features 327 rooms that evoke a sense of yesteryear and rustic elegance. 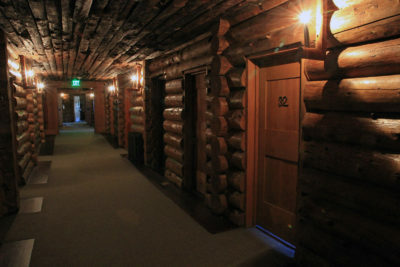 Many rooms include bathrooms, while others require the use of a hall bath. Television, radio and air conditioning are not available in any park lodging. The Inn features a full-service dining room adjacent to the lobby and serving breakfast, lunch and dinner. 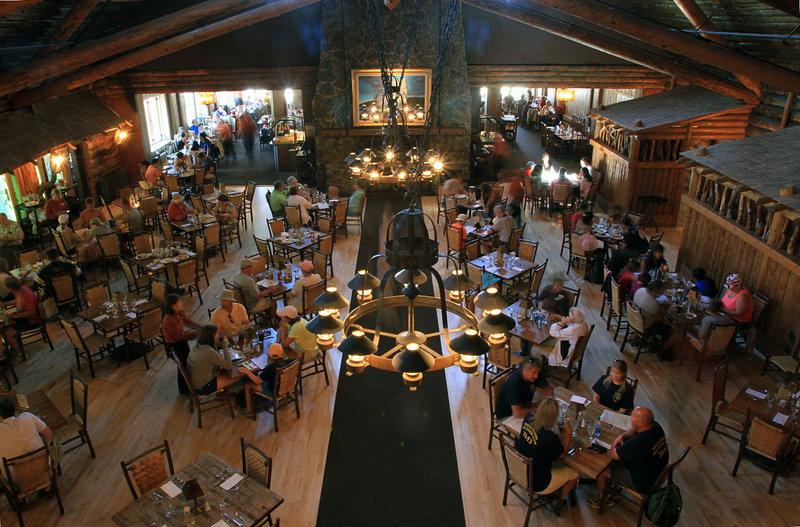 Dinner reservations are recommended. 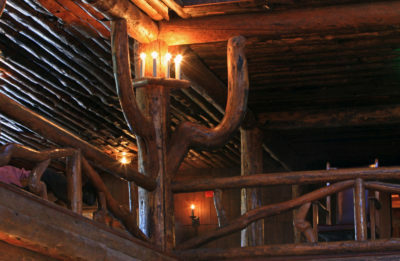 A small cafeteria and a gift store are also housed in the Inn. 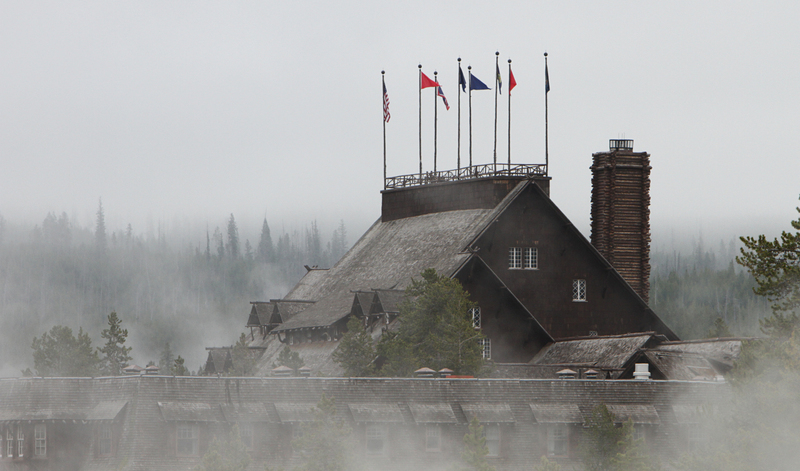 The Old Faithful Inn is open from mid-May to October. 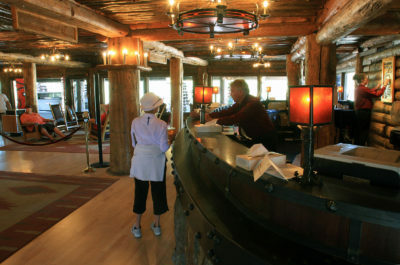 Prices start at about $150/night, and reservations may be made as early as one year in advance.